Residential New and Re-roofing Services. Protecting Central Florida Homes with Roof Replacements since 2003! At Integrity Roofing & Gutters, we know that your homes first line of defense against Mother Nature’s heavy hand is a good, solid roof. It’s that simple. It’s important not to let too much time pass before you have your roof inspected for potential damage. 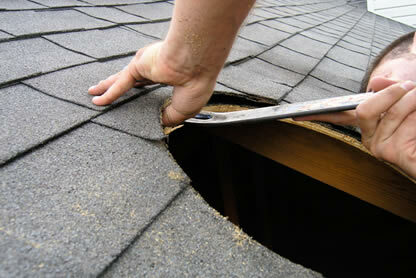 If you have noticed leaks or small cracks in your shingles, your roof may need to be replaced. To ensure your family and your investment is safe, call Integrity Roofing & Gutters today. We are ready to provide you the valuable peace of mind you deserve. Our certified Orlando roofing contractors will come to your home and thoroughly evaluate your specific roofing replacement needs. Integrity Roofing & Gutters is equipped with industry leading materials. Our roofing contractors are professional, knowledgeable and fully certified. We aim to protect the value of your home for years to come – not just cost you more money to maintain down the road. We do it right the first time! Integrity Roofing & Gutters is available 24/7 to solve any and all roofing concerns that may arise in your home. We consider our company a family and we strive to provide the same care and protection for your family as we do ours. Copyright 2018 Integrity Roofing LLC © All rights Reserved.